Sometimes Jeff Bugay blacked out entirely and woke up to find himself in the emergency room. Sometimes his pain was so bad he couldn’t talk or form words. Bugay, a former executive chef, had 15-20 partial seizures a day, lasting 30 seconds. “It’s a feeling where I have to back into a corner – you feel like you’re pulling away from yourself,” he said. He spent $900 a month on prescription drugs and took 84 pills a week, totaling more than 1 million milligrams a year of anticonvulsants, but nothing was stopping his epilepsy. Frustrated with prescription drugs, Bugay turned to marijuana about 10 years ago. He said nothing has worked better for his pain. “It’s done so much for me in terms of giving me my life back,” he said. Bugay, 41, lives in Proctor with his two children, ages 9 and 12 and his wife, a nurse. To him, marijuana is as natural as any other plant. Bugay grows marijuana next to his kale and brussel sprouts in the summer. In the winter, Bugay grows marijuana in his basement under LED lights. Now that it’s legal to grow and possess marijuana in Vermont, Bugay, who has about 10 years of experience growing marijuana, is trying to help others realize marijuana’s benefits. Bugay started a business called Homegrown Vermont Professionals. He will set up a home garden for his clients. 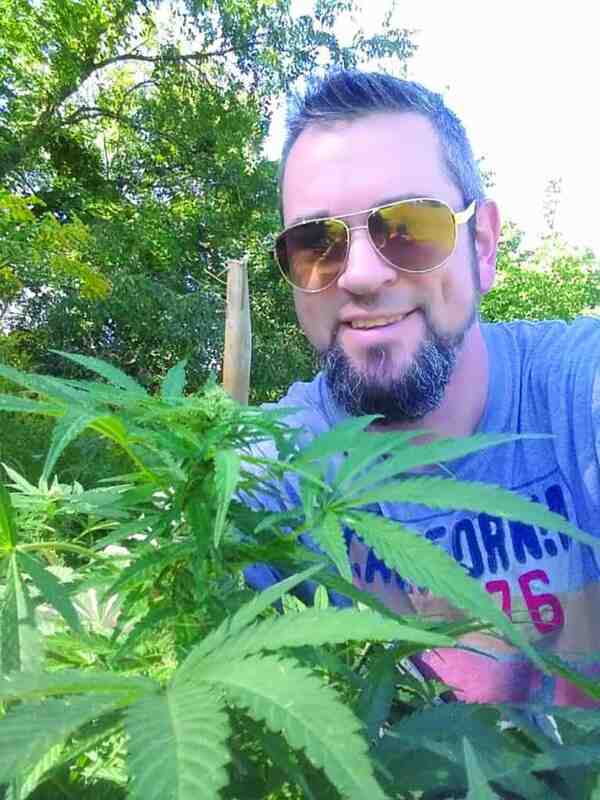 He’ll teach people how to cook with marijuana, when to harvest it and how to get started. However, getting people to understand the benefits of marijuana hasn’t been easy. Even Bugay’s wife is weary of the stigma attached to marijuana and declined to give her name. Bugay has seen about a handful of clients so far. Some of them are hesitant when they first meet Bugay. Bugay first experimented with marijuana illegally in high school. “My generation growing up – that’s what we did,” he said. Bugay stopped smoking after he joined the military at age 18. Bugay said his epilepsy started shortly thereafter. He thought it was panic attacks at first, but never understood what caused his seizures. After taking a free sample of marijuana about 10 years ago, he felt better in about 30 seconds. “I felt amazing, like I hadn’t felt in years,” he said. Bugay started growing marijuana about seven years ago. He obtained his medical marijuana card to grow it legally three years ago. Bugay takes marijuana now through a vaporizer every morning and whenever he feels pain. He prefers CBD gummies to Ibuprofen and any over-the-counter pain medication. He even takes CBD for headaches. “It’s gone in five minutes,” he said of his pain. He spends $40-50 a month on gardening supplies. Though the state legalized possessing marijuana July 1, 2018, it is still illegal to sell marijuana. Some find a loophole by selling T-shirts and giving free marijuana seeds with the shirt, for example. Bugay finds the loophole giving free marijuana plants to anyone who wants an hour consultation for $60. Bugay won’t work with people who are looking to take advantage of the law. He makes his clients sign a liability agreement. “This is a business that I plan on passing on to my children,” he said. Above address for more information. Have lots of marijuana with me.